Here is an update for some new additions to Tom’s Thumb Fresh Market which is on the Southwest corner of 94th and Bell Roads and continues to be more than just a gas station. The corner store has quickly become a neighborhood meeting spot for a cup of locally roasted coffee at Pinnacle Perk or breakfast and lunch at the Campfire Bistro. This week, the Bistro introduces an expanded dinner menu and full table service from 4:30 – 8pm nightly. The new offerings coincide with its license approval to serve beer and wine. Chef Tudie Frank-Johnson has taken the café’s award-winning barbecue and Southern-inspired specialties to create a range of family dinner-worthy dishes. 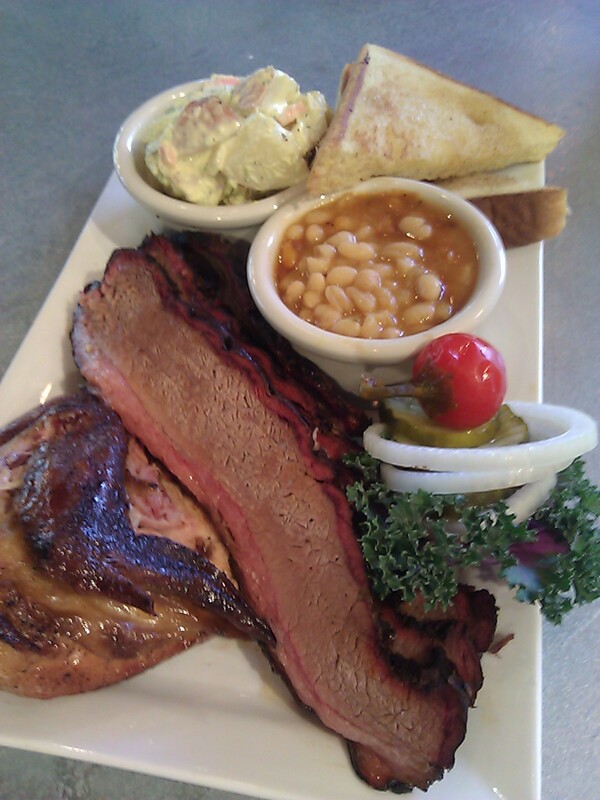 Headlining the menu are the Barbecue Ribs – a half rack of ribs with two side dishes for $16. The Campfire Bistro ribs recently took top honors at the Channel 15 Sonoran Living BBQ Challenge. Also on the menu are Grilled Salmon over Smashed Sweet Potatoes with Red Pepper Coulis and Sautéed Zucchini with Shallots ($13.99), Crab Cakes, and rotating specials like Blackened Catfish with Fries, Fiesta Slaw and Drizzled with Chipolte Aioli ($10.99) and Peach Cobbler ($3.99). The dinner menu is available from 4:30 – 8pm nightly when the Bistro transforms into a full restaurant with table service. Tom’s Thumb also is now serving beer and wine by the bottle and glass. The selection changes weekly and comes from its range of affordable, high quality wines and craft beers selected by Market Sommelier Chuck Hesson. Prices range from $4 – 5 per bottle for beer and $5 – 11 for wine. Drinks are $1 off during happy hour from 3 – 6pm daily. Tom’s Thumb Fresh Market is located at 9393 E. Bell Road, Scottsdale on the SouthWest corner of 94th and Bell. Find menus and other updates about the market on its website, TomsThumbFreshMarket.com, on Facebook (facebook.com/Toms-Thumb-Fresh-Market) and the Twitter (@TheThumb1). 480-513-8186.